Now that Princess Piggy Poo is full grown, I’m wondering if her gray-eared sister was aptly named, Dumbo. Seems to me those little pink flappers on my baby are quite something and I’m guessing it runs in the family. “My, what big ears you have!” I have told Princess Piggy Poo more than once, imagining her answer, “The better to hear you with, my dear,” as I watch the tiny auricle hairs twitch at the different sounds she hears. 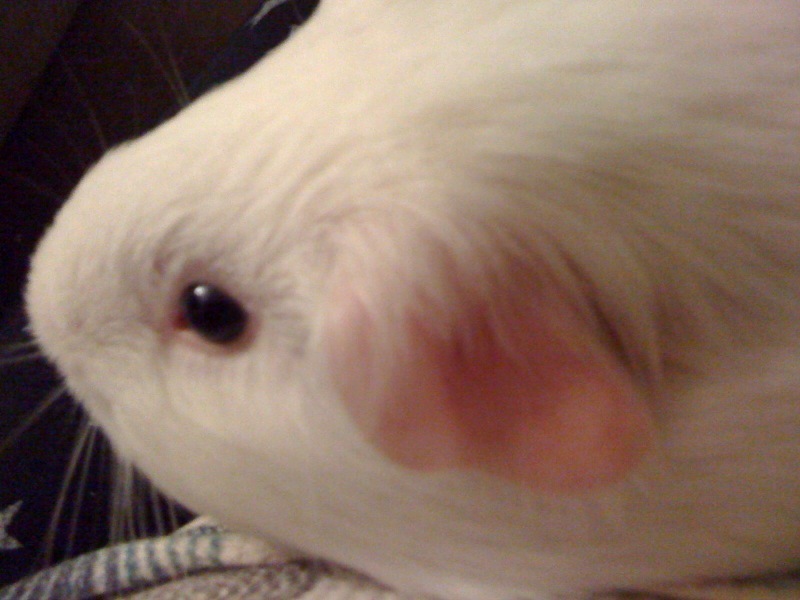 Seems guinea pigs can hear many more frequencies than humans and even have more sensitivity than dogs. This wide range comes in handy for hearing predators. Princess Piggy Poo makes the most of her sizeable sound sensors in her protected environment. She’s a really good listener, as long as the only answers you seek are chortles, squeaks and wheeks. Funny, the thing that brought us together—her pink ears—turned out to be so prominent. They are a conspicuous reminder that you never know which small choice will make a big difference in your life. It makes me grin from ear to ear.